Lifetime discounts we know you will appreciate! 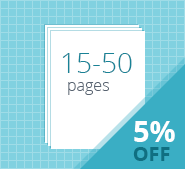 Order between 15 - 50 pages and start enjoying our Silver discount of 5% off any of our custom writing services. Single paper orders and multiple paper orders both apply to this discount. 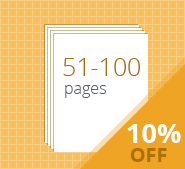 Order between 51 - 100 pages and receive our Gold discount. This package offers a 10% lifetime discount off any of our custom writing services. It also applies for single paper or multiple paper orders. 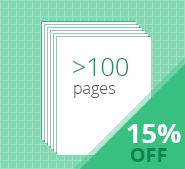 Order 101 pages or more and you will receive the Platinum discount. We know you will appreciate the 15% lifetime discount you receive at this level. This invaluable savings package will reward students who achieve this level discounts on all their future writing assignments.